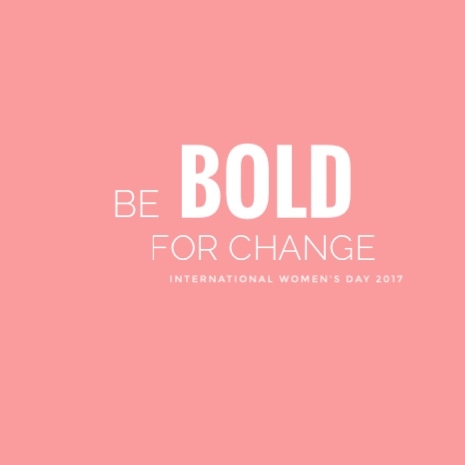 This year, Be Bold For Change takes the theme for the International Women’s Day coming up on March 8th. But exactly what is this precious day all about? It celebrates more than what you see in a woman. The achievements of women in the many fields they have succeeded in – politically, economically and also the different ethnicities and cultures they come from. With the departure of the women’s march last month, the woman empowerment this year has never been stronger. Witnessing the march happening all over the world gave those at home who were victims of bullying or assaulted, raped, the homemakers and those who have faced injustice, a sense of authority and a meaning in life even in the slightest of ways. The purpose of it? To demand for higher pay, shorter hours and equal rights of course. As much as times have changed and become better to where we were 10 to 50 years ago, women still live in an era where they are paid 24 to 33 percent lesser than man and are still given higher positions. Yes, we do have Vivy Yusof of FashionValet; Mac Chung Lynn, Group CEO of Nando’s Malaysia and Singapore and Cheryl Yeoh of the MaGic to name a few to thank for, but would there be a time where woman and man are treated the same? 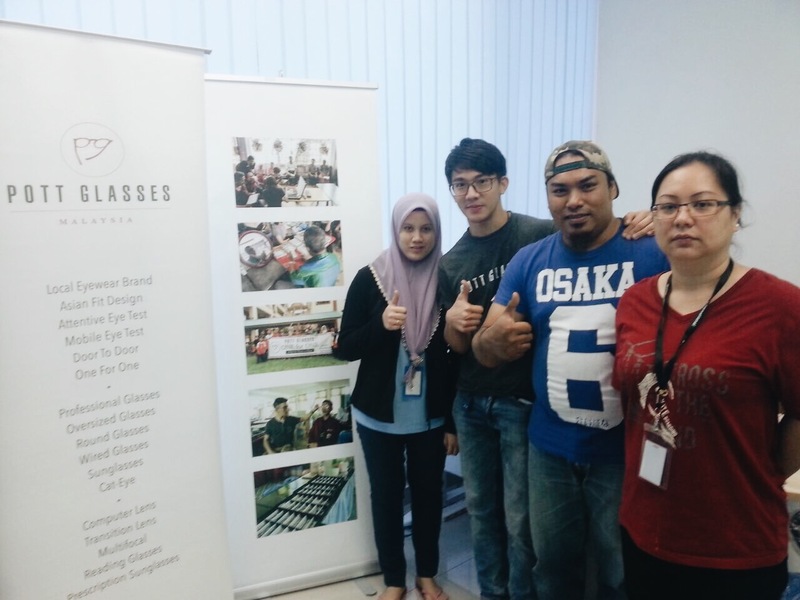 On the 18th of March, we joined our friends from Gnosis to provide eye care service to the KLink employees. It is an annual health check program by the company for the employees. The team from Gnosis were there to take perform blood test while we went to perform color blind test. The program was short and simple, started at 9am and ended at 11:30am. We were given a room to set up and individuals were called up to go through the color blind test. Out of 25, only one have slight issue with the test. We then referred him to our optometrist friend. We do provide primary eye care service to corporate. Depending on the request, we will plan the correct program accordingly. This month, it’s all about the new and cool eyewear choices you get when you enter any of our stores. Expect transparent frames that seem to have gained popularity once again, oversized pieces (mid to large size) to match different face shapes and of course of few of our signatures that includes the clubmaster, one that never goes out of style. Whether you gravitate towards a funky style, like it casual or a loyal follower of trends, these pieces will be your new favourites. The best part? Every eyewear in this series is unisex. So switch it up with bae once in a while (if you guys have the exact same power) or not, it still looks just as good. With CNY coming up in a couple of weeks, the preparations of getting new clothes, decorating and spring cleaning has begun. However, many of us may stray away from the ancient customs that have been told to either bring us or sweep away prosperity, so we’ve gathered up a few dos and don’ts (some we already know) to keep you on the good path. If you decide to have clumsy hands on any particular day and accidentally break the cooler pair, trust us when we say you’ll give yourself a pat on the back for getting that additional pair. Okay, so most of us still prefer being old school and sticking to prescriptive glasses instead of wearing contacts, the second pair comes in handy for days you want to switch up your style. Whether it’s to spruce it up with some colour or an oversized frame, you’re all good. We’re all guilty of liking the same thing more than we should. Just like how we have the same song on repeat. So it’s not wrong to have the same exact pair in 3 different colours. While it may be all fun and games (literally!) with outdoor sports activities, not having UV resistant glasses can be quite harmful to the eyes. Hence getting a pair that protects your peepers. Tis’ the season to be shopping! With Christmas arriving in a matter of weeks, we decided to ease your gift shopping dilemma and gather up some picks that would make a pretty present. Whether it’s for your family members, colleagues or friends, we’re sure they would love these babies. If she’s a fan of anything and everything minimalist with a retro twist, this red hottie is here to save the day with its shiny metallic temples and thin frames. Suited for the man who loves to sport the smart look, this slightly oversized thick frames makes it easy for him to transition from workwear to play. For the cool girl who refuses to be anything but ordinary, you couldn’t go wrong these vivacious frames and its metal nose bridge. When Pott Glasses first started out, we aimed to be more than just an eyewear brand. A brand that could reach out to people in many way. One and a half years later, we have done up to four donations drives and it feels finger lickin’ good. This time we collaborated with DUN Ampanagan, Seremban to do a ‘Buy While Donating’ campaign. Thanks to Yang Berhormat who supported us and at the same time wanted to help the community. We had the opportunity to perform eye test for 60 people out of which 56 needed glasses. Driving up to Seremban at 7am to set up at the DUN office was all worthy after seeing the warm smiles the kids gave us at the end of the day. Not to forget, a big thanks to Cik Marhizah and her team who facilitated and were so patient with us throughout the event. Since a new year is upon us, we hope to spread the love as much as we can. At 17, I was so heartbroken when my parents decided to get a divorce. But a few weeks after that call was made, I had an offer to further my studies in Tokyo, Japan. Everything changed after that, I had put behind me the hurtful feelings and was grateful I had something to divert my attention from all that was happening. When I came back home, I realized that the divorce was a good thing that happened in my family. My mum and dad became good friends with no quarrels and they could speak about anything to each other. I could see the love between them, it’s just that it was a different kind of love. So for me, I’d say divorce isn’t a killing machine. I wanted to venture into a field that would make people appreciate themselves when they’re still healthy. People think aesthetics is an easy way out and that it’s all about beauty and what’s on the surface, but I don’t look at it that way. There are people who are living healthily but don’t pay as much attention to their appearances. Aesthetics on the other hand, involves a lot of oneself in terms of appearance and feeling better. We make people look better physically and feel good on the inside cause they derive a certain confidence. Just when you thought you had a serious case of geek with your prescriptive glasses and braces on, these celebs prove that you can look stylishly chic in them as well. Whether it’s on and off screen or at the oscars, we feel so much better nerding out now that we’re not the only ones who chose to be labelled four eyes. Thick frames, check. White tee, check. Red lippie, check. Is there really anything else you need? surely hasn’t seen this gorgeous brunette in it. pair is giving us the chills. looks sweet even in a pair of oversized glasses?